If you have chosen Egypt as your travel photography destination this vacation, you could not have been more correct. Just spot the ecstasies in the Sufi Dancers’ looks through your lens and shoot! You have just captured eternal bliss. 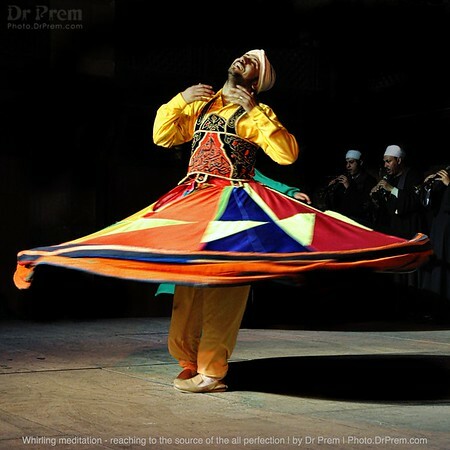 The halo of intense faith that is being radiated by a whirling Sufi is picture perfect from travel photography view point. 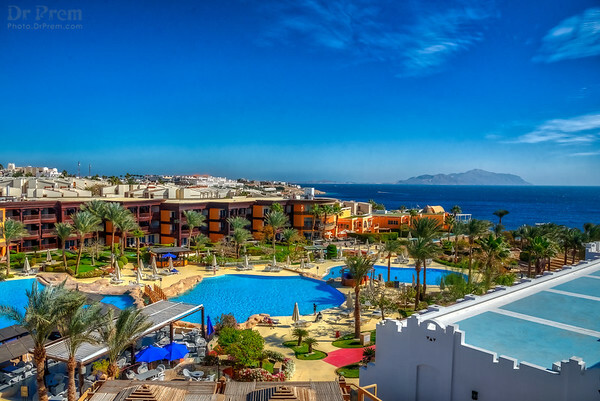 Egypt can only offer you such a rare opportunity. 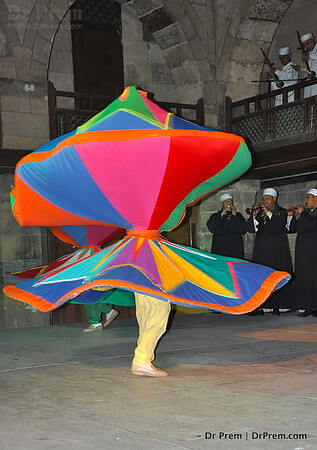 The typical Egyptian culture comes to the fore with this colorful dance of the Sufi. The lovely hues comes together to create a whirling illusion as we get lost in the rhythm and the foot taps. Marvelous talent of a dimension we barely imagine! 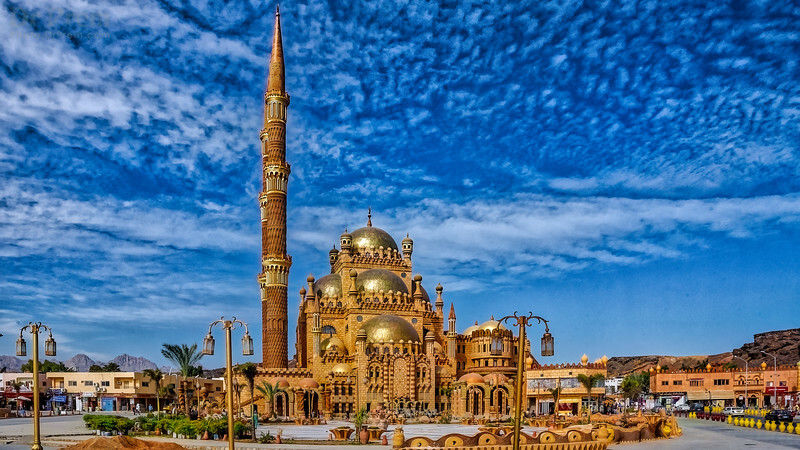 While one expects Egypt to be high on history, one often forgets the culture of the place. 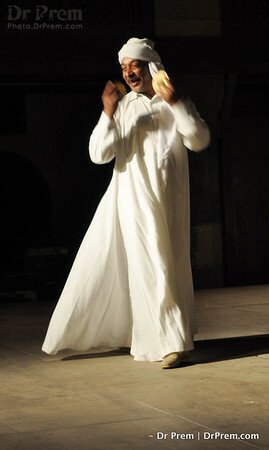 The Sufi dancer here enthralled in white. With each move, a new way of seeing the world emerged and finally the white and the beats combined to make us wonder how lively an art form can be! The clever moves of the dancer, the lovely white swirls with each beat, creates a unique rhythm. Once you see such a Sufi performance, you might be forced to believe that even you can dance away all your trouble.. but then you realize.. that no art is easy! 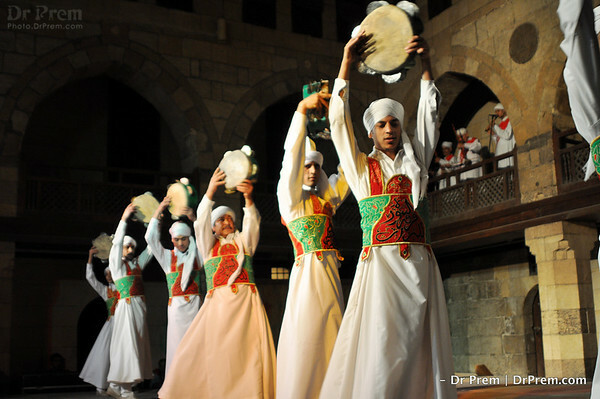 The rhythm and the moves of the Sufi dancers are unique to Egypt. The way these dancers shape their leaps and move in unison to the beat make you get lost in deep thoughts about life. The vibrant colors add to the thrill as do the tiny musical instruments. 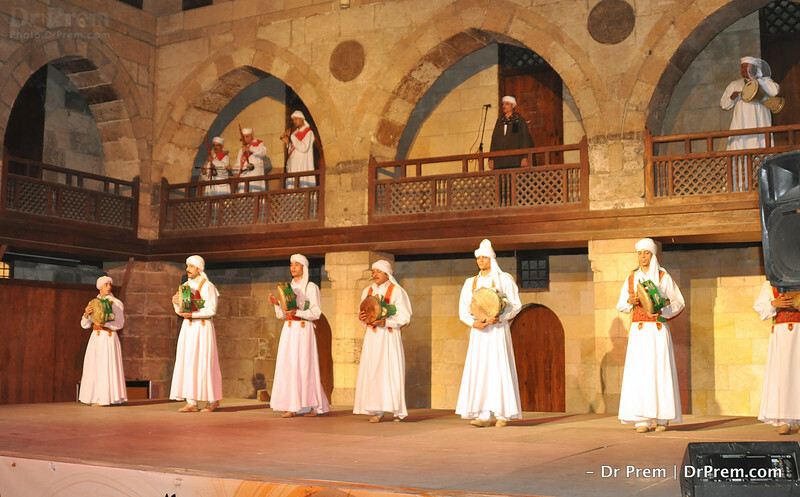 Just before the drama begins to work its way through dance, the Sufi dancers appear composed on stage. Little do they hint at how the calmness will lead to fierce rhythm just next. 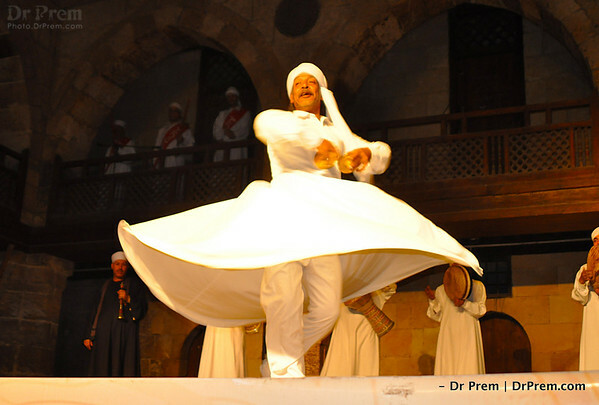 Just like life, the dance of the Sufi folks is full of surprises. 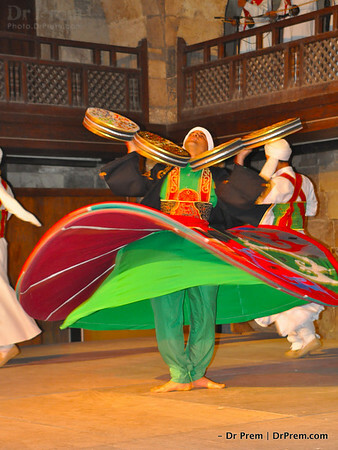 The Sufiana dances make you get dazed, the furl of colors, the bevy of moves and the steadfastness of the dancers soak you into its deepest plunges. The costume no longer appears earthly as it rises and beautifies its state with each round. The music and the bright swirls combine to lend a heavenly charm to the dancer. The best part is the climax of the dance that sees dancers in immense frenzy. We are transported to another realm but then we realize it is already paradise where we are seated. Dance is not just about entertainment. 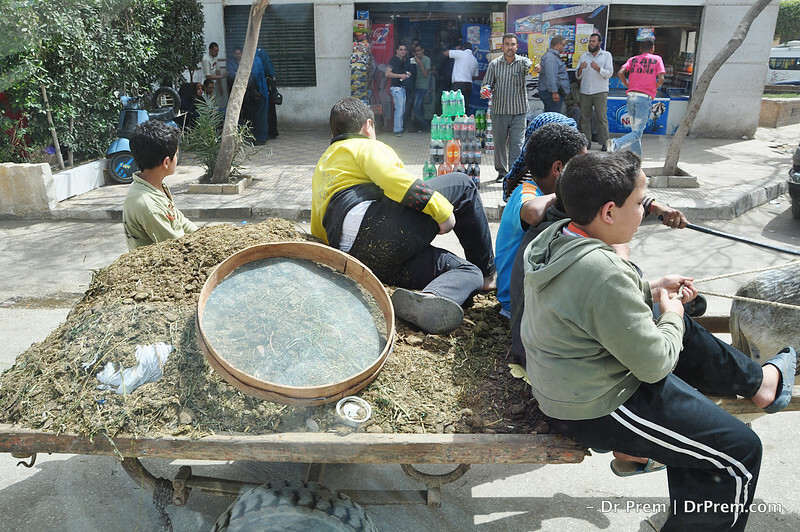 At least in Egypt, it is much more! 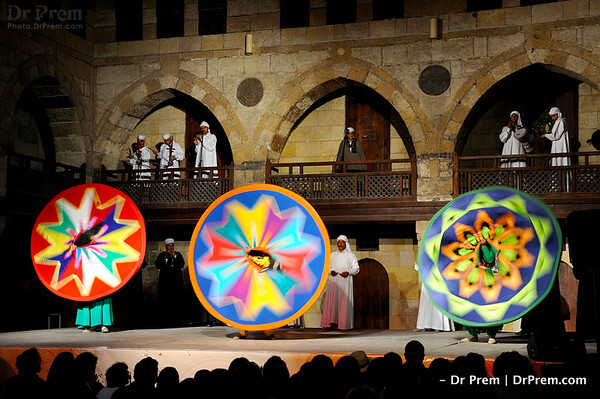 the Sufi dancers imbibe careful thoughts in us about life, mystery and magic. The colors paint a lovely tale and take us to another world where the culture reigns supreme. 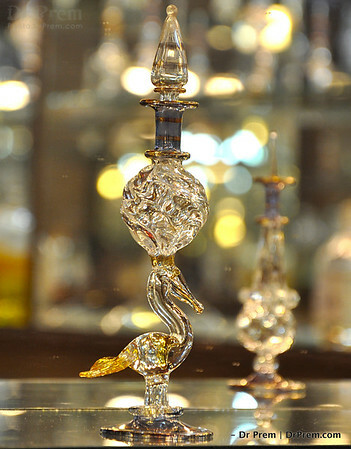 The crystal figurine is worth a thousand praises no less. The beauty of the piece is enhanced in the many reflections it takes on from around. The best reason why crystals live on is because of the strength it takes from everything around-- light, darkness and sheen! 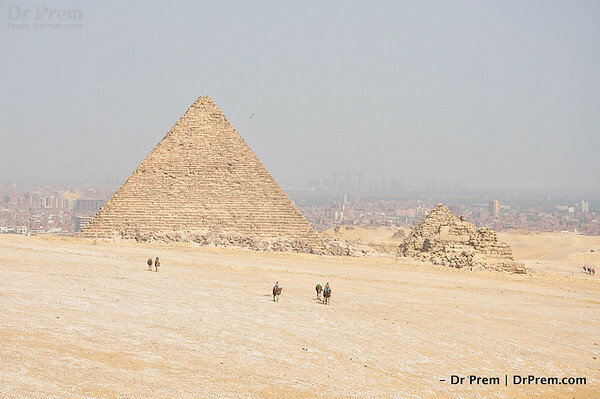 The Pyramids are a wonder--from the ancient and the modern world. We just know how mighty they are seeing these up close makes us realize how little we understand of these wonders. A marvel in art, a unique cog in the wheel of history and a lovely creation of man indeed! What caught the eye here is not the surroundings but the fact that boys so young were such hard laborers. The magnanimity of the trudge, the gesticulation of the man around and the casualness of the surroundings define how Egypt is today. Tame and tough! The Sphinx Is For Real! 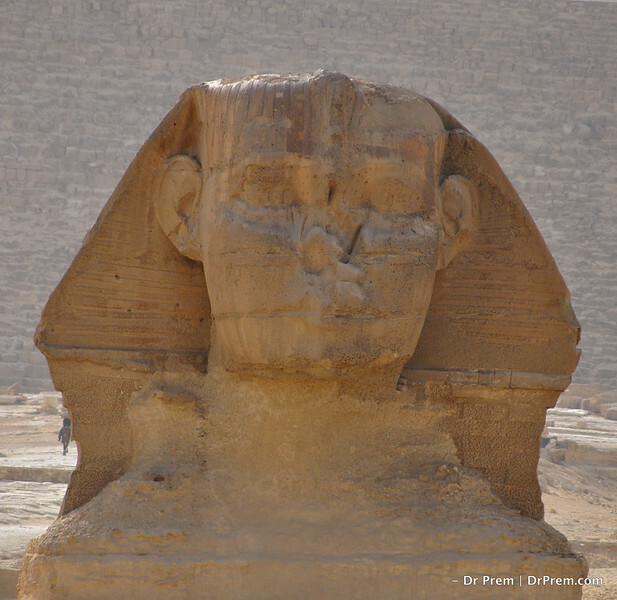 The Sphinx in Giza is a wonder and as you look at it up close you realize why. The history must date back to ages and there are dusty myths surrounding this galore but as we saw this, we barely recalled anything except turning into an admirer. The Egyptians sure knew how to enthrall the world across cultures and eras. 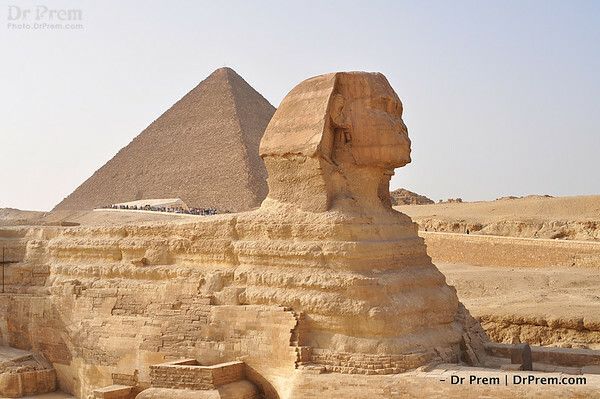 The ancient pages of a time gone by becomes reality as you stare at the pyramids and the Sphinx. The sands and the stones combine to make us wonder how the times might have been back there. Today these are all that we have to mark the glory of Egypt. 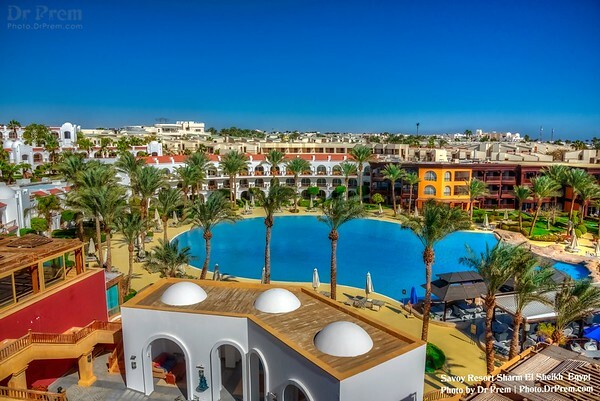 The serenity in Egypt is unmatched in any corner of the world. The simple cruise ferry looks humble but houses comfort within just like the country that has a huge desert coverage but offers much more warmth than you ever expect. 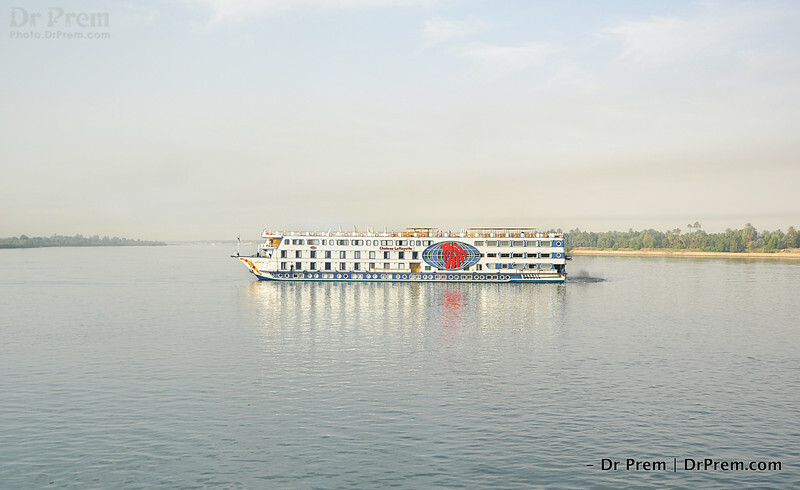 Come cruise along to experience Egypt! Money Grows On Trees Then! Atleast from here we decipher than currency notes and coins could just lie about. Egypt offers surprises but this is one to remember always. 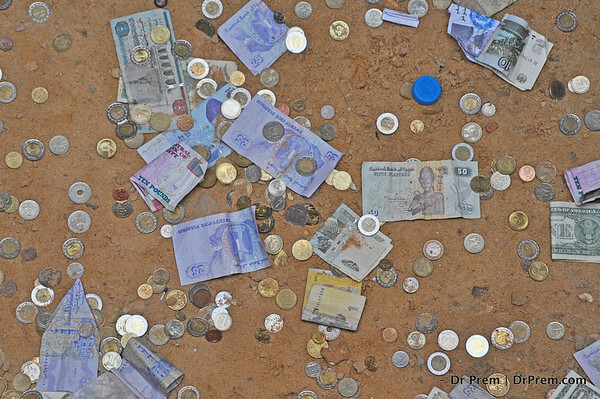 The sight of such scatter makes us wonder is money is indeed worth stacking. After all life ends and begins with dust! The Sphinx is finally caught up close. Unlike what we think, the half-lion, half-man is not scary in the least. 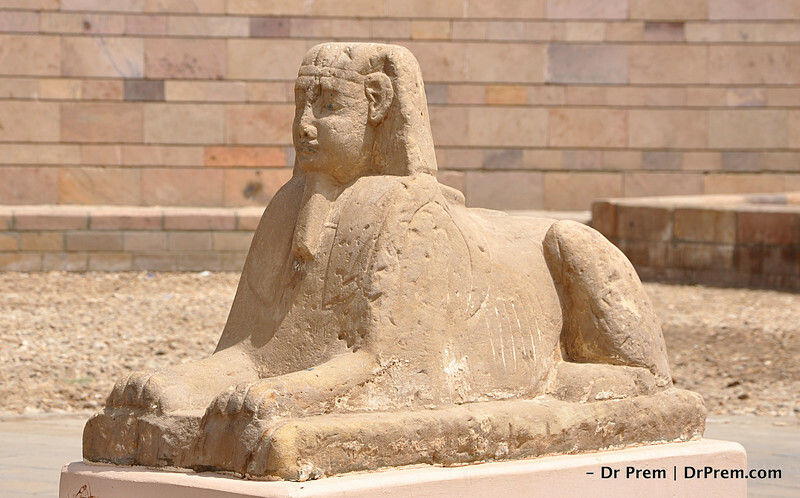 The face of the Sphinx is rather soothing and the gait is rather calm. The pages of time come alive with such wonders that they created. 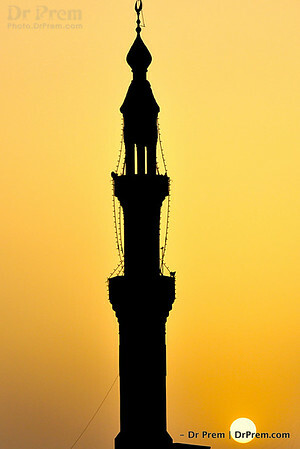 The tall structure in Egypt is marvelous. 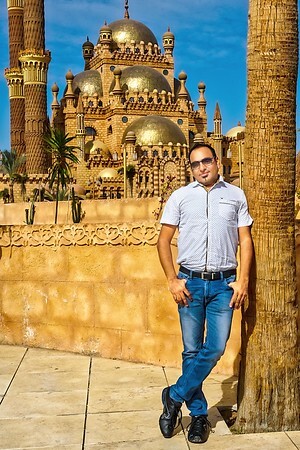 The dome is reminiscent of age old architecture and the towering height signifies the strength of Egyptian culture. The restoration efforts only highlight how attached we are to past achievements and how the present only is a mirror of the past. 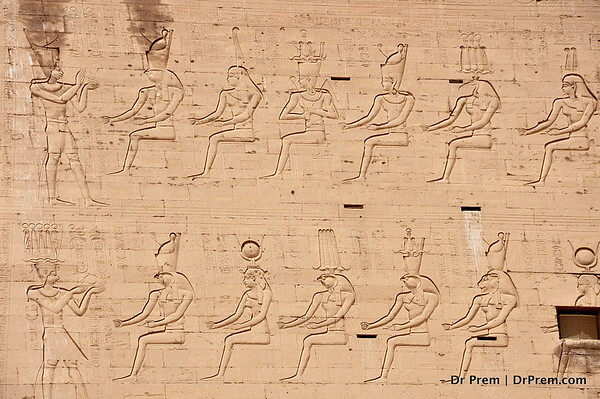 Look how the ancient Egyptians had a rite! The picture-writings reveal the way men and women lived then. The Kings and their men had the highest hierarchy while the lower citizens had a place at the bottom rung of social status. The history of Egypt is truly inspiring and fascinating. Darwish music has too many notes to master. 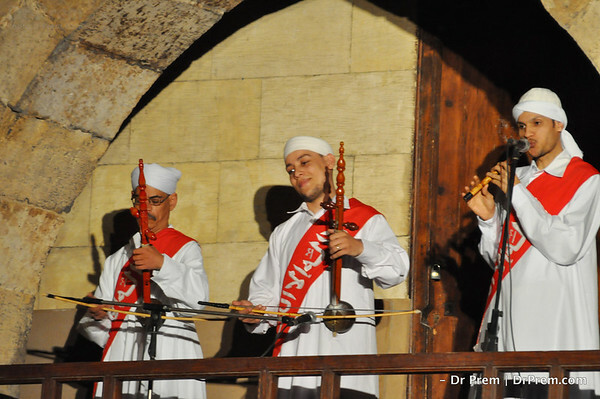 When in Egypt, the best thing to never miss out is the local musical scene. Traditional musical instruments, modern notes and a burning inspiration among musicians to floor audiences are just few reasons why you have to be at these concerts.